In recent years, we have witnessed dramatic improvements towards solving key and difficult problems of computer vision such as object and face recognition, scene classification and understanding images; and we see that the technological advancements based on these solutions keep getting integrated into our daily lives. As a machine learning tool, Deep Learning has emerged as one of the key factors beneath these success stories. In this tutorial, we will give a gentle introduction to deep learning, talk about what is deep learning and why and how it gained so much popularity lately, with a special focus on computer vision applications and recent developments in the field. The goal is to provide attendees with a basic understanding of common architectures of deep learning such as convolutional neural networks, recurrent neural networks and autoencoders. Aykut Erdem has received his BSc and MSc degrees in Computer Engineering in 2001 and 2003 from Middle East Technical University (METU), Ankara, Turkey. During his PhD studies at the same institution, he was a visiting researcher at Virginia Tech, Blacksburg, USA during Summer 2004 and a visiting scholar at MIT, Cambridge USA for Fall 2007. Upon receiving his PhD degree in 2008, he worked as a post-doctoral researcher in the Computer Science Department of Ca’Foscari University of Venice, Italy from 2008-2010. In 2010, he joined Hacettepe University, Ankara, Turkey, where he is now an Assistant Professor at the Department of Computer Engineering. He is one of the founders of the Hacettepe University Computer Vision Lab (HUCVL). 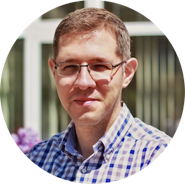 His research interests include computer vision and machine learning, currently focused on image matting, summarization of videos and large image collections, and integrating language and vision. Erkut Erdem has received his B.Sc. and M.Sc. degrees respectively in 2001 and 2003 from the Department of Computer Engineering, Middle East Technical University. In 2004 and 2007, he worked as a short-term visiting researcher at Virginia Tech and University of California, Los Angeles, respectively. 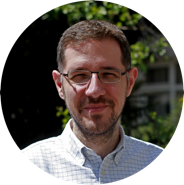 After completing his Ph.D. work at the Middle East Technical University in 2008, he continued his post-doctoral research studies at Télécom ParisTech, Ecole Nationale Supérieure des Télécommunications between 2009 and 2010. He started working as an instructor at the Department of Computer Engineering, Hacettepe University in 2010 and is an Assistant Professor at the same department since 2014. He is one of the founders of the Hacettepe University Computer Vision Lab (HUCVL). While his research interests in general concern computer vision and machine learning, he is conducting research activities specifically in image editing and smoothing, visual saliency prediction and integrated language and vision applications. Nazlı Ikizler Cinbis received her BSc and MSc degrees from Department of Computer Engineering at Bilkent University in 2000 and 2002. During 2005-2006, she was a visiting scholar at University of Illinois at Urbana-Champaign (UIUC). 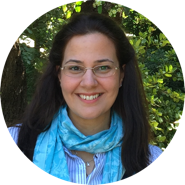 After receiving her PhD degree from Bilkent University in 2008, she worked as a post-doctoral research associate at Boston University in USA between 2008-2010. Since 2011, she works as an Assistant Professor at Hacettepe University Department of Computer Engineering. She is amongst the founders of the Hacettepe University Computer Vision Laboratory. Her research areas are mainly Computer Vision and Machine learning, specifically focusing on video processing, human action and interaction recognition in images and videos. Seniha Esen Yuksel Erdem received her Ph.D. degree from the University of Florida Department of Computer Information, Science and Engineering in 2011; her M.Sc. degree from the University of Louisville, Department of Electrical and Computer Engineering in 2005; and her B.Sc. degree from the Middle East Technical University, Department of Electrical and Electronics Engineering in 2003. After getting her Ph.D. degree, she worked as a postdoctoral researcher at the University of Florida, Department of Materials Science and Engineering; and as an Instructor Dr. at METU NCC. 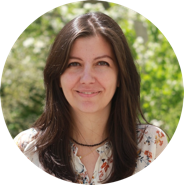 She currently an assistant professor at Hacettepe University, Department of Electrical and Electronics Engineering. She is the founder of the PARRSLab (Pattern Recognition and Remote Sensing Lab) where she conducts research in machine learning and computer vision with a particular focus on target detection from hyperspectral images as well as ground penetrating radar images, and developes algorithm for fusion with LiDAR.